The presents are wrapped, the decorations are up, and the menu is prepared, so it’s time to start looking for the perfect bottle of wine for the Christmas table. Well, you’ll be delighted to know there’s no need to splash out on crowd-pleasing wine this year. 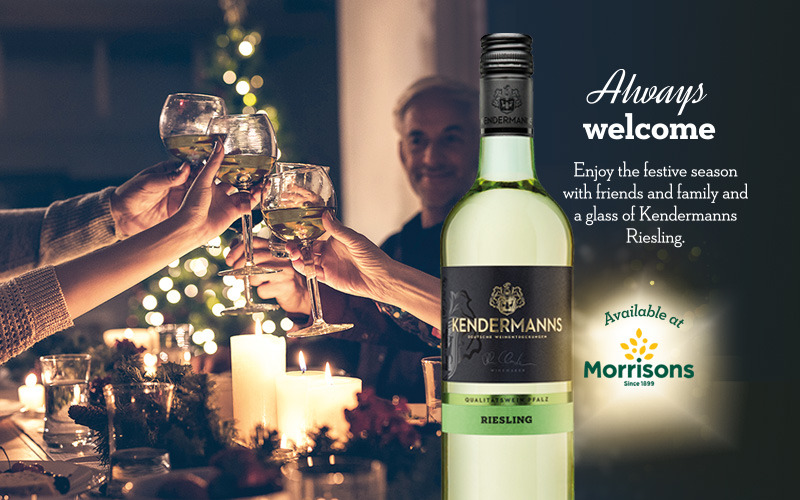 World-renowned German wine producer, Reh Kendermann is giving away two cases of its award-winning Kendermanns Classic Riesling for festive toasting and seasonal supping. Priced £7.49 and available at Morrisons, this is an elegant example of Germany's noblest grape variety. Offering fruity flavours of peach, jam, pineapple and lemon with notes of vanilla, it is the perfect accompaniment to a number of dishes including white meats such as roast chicken, turkey salad and salmon-based starters.